Mary Walker-Baptiste achieved a Minor in Art in her undergraduate days, and she has taken an eclectic mix of Adult School art classes, including clay work on a wheel, stone sculpture, gold jewelry making, Ukrainian egg decorating, and mirror etching. 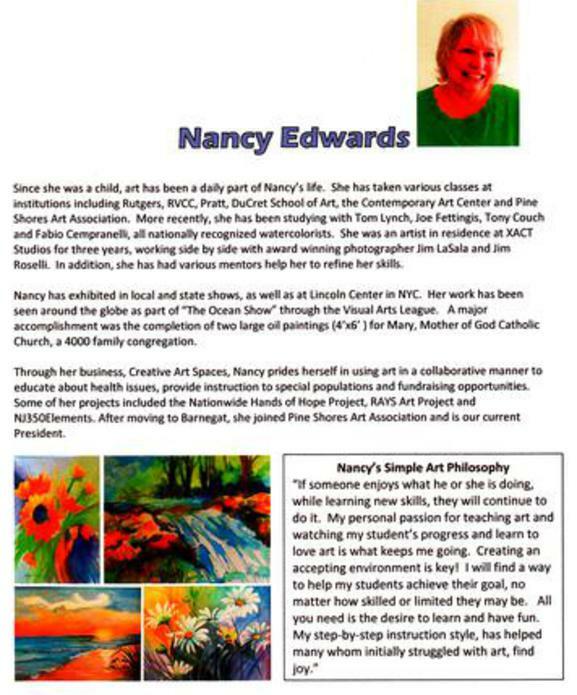 Upon retirement in 2005 from teaching elementary students, Mary attended her local Ridgewood Adult School, this time in an acrylic painting class. For that year, Mary explored still life, figures, and landscape, being able to use some of her parents' brushes and art tools, which made it even more precious to renew her love of painting. Mary moved to Waretown in 2006, and was so pleased to find Pine Shores Art Association in Manahawkin as her new “art home”. There she studies drawing, watercolor and oil painting. She has won awards in their Juried Shows, Student Shows, and the Photography Show. Mary shows at many of the local venues and has acquired a following for her miniature oils. In 2008 she accepted the position of Director of the Children’s Art Classes at Pine Shores, and has used her skills from over 30 years of teaching, to inspire young artists of Ocean County. See Mary's gallery of paintings and photos. Click here. Bob Heyer is a master of watercolor. 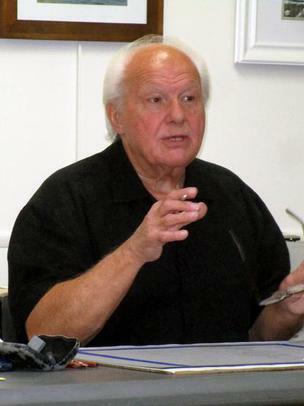 His paintings are often showcased in exhibits at Pine Shores, where he has won many awards. He is a full member of the Garden State Watercolor Society, fellow member of the American Artists Professional League in New York City, signature member of the New Jersey Watercolor Society and full member of the New Jersey American Artists Professional League. Heyer has won awards too numerous to mention for his paintings, including the prestigious NJ Water Color Society Silver Medal Award. His most recent award was the Ida Wells and Clara Stroud Award in the NJ AAPL 2014 Open State Juried Exhibition. His work has also been featured in many artists' magazines. 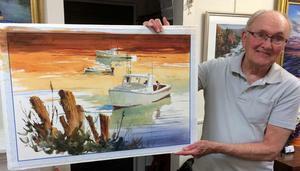 Members saw Bob at work recently as he demonstrated after the Members Meeting his watercolor technique with bay and boats subject matter. After one of the Members Meetings last year, Tom demonstrated his brush, pen and ink technique. 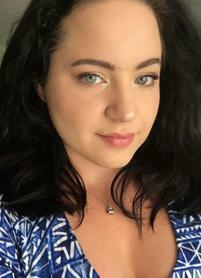 Kim Cesaretti is a freelance artist, designer, and art educator with a very diverse work and education background. Kim holds a Certificate of Eligibility in Art Education (N-12) in New Jersey. 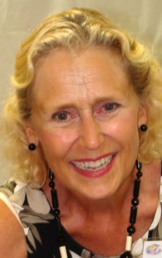 She was a graphic designer for many years at Naval Air warfare Center Aircraft Division Lakehurst and also served as an Adjunct Instructor at Georgian Court University teaching Web Design Graphics. Kim has been an artist since she could pick up a crayon. Painting has always been her first love and her favorite medium. She earned her B.A. in Art Education from Georgian Court College, now Georgian Court University (GCU). In her senior year, she received GCU’s Art Award and the Dean’s Award for Academic Excellence. She also donates her time and talent to other community organizations and non-profits including her church, Girl Scouts of America, and the American Cancer Society Relay for Life. She has led many art party fundraisers and has designed logos, t-shirts and banners for the Berkeley-Lacey Relay team, Team Callis. Lisa Budd is an accomplished artist in several media - including traditional watercolor, oils, and watercolors on yupo. 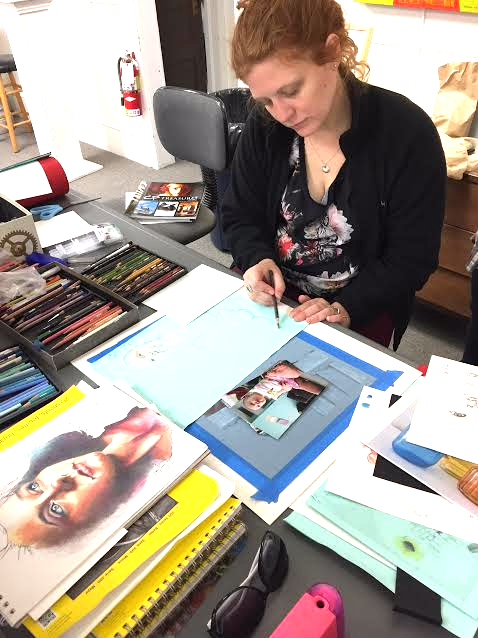 She attended FIT in New York, and has an impressive list of honors including signature memberships in the Salmagundi Club, Audubon Society, Allied Artists of America, and several state and regional watercolor societies. Lisa has won dozens of awards for her beautiful work and her work has appeared in half a dozen publications, including Who's Who in American Art (2015). Her paintings are in galleries and public buildings in Texas, Tennessee, and several locations in New Jersey. 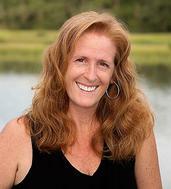 We are fortunate to have her here at Pine Shores as one of our instructors. Look for her upcoming classes. Jill DeFelice is primarily a self-taught artist. 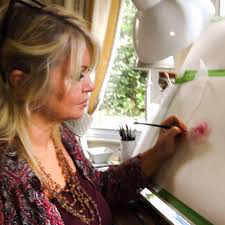 She has dabbled in acrylics, gouache, and bronze sculpture but paints mainly in oils. She first started painting in 2001 with Russian Impressionist Valery Gueraskevich. In 2003, she relocated to Hong Kong and China where she continued her art education under NY Students Art League member, Patricia Pitts. Jill is an associate member of Oil Painters of America and her works are in private collections in New York, Moscow, Saudi Arabia, Beijing, Toronto, Brisbane, and Hong Kong. She painted Asian themes for a number of years as an expatriate. Now permanently back in the USA, she is enjoying exploring local themes here at the Jersey Shore. An experienced elementary school teacher, Jill has also taught art in small group instruction to adults in Hong Kong and Guangzhou, China. Her approach to teaching encourages students to relax, have fun, and step outside their comfort zones to try new things. Painting, in her mind, should be a joyous experience, an exploration. Jennifer Tabor LaVeglio is an artist working mainly in color pencil. 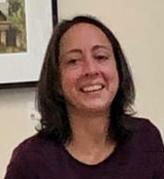 She is a member of the Color Pencil Society of America and has been a member of Pine Shores Art Association since 2012, where she currently teaches color pencil and drawing workshops. Since childhood, Jennifer Tabor LaVeglio has always enjoyed drawing, painting and creating in various types of other media. She has always combined this with her love of nature and the human form. She furthered these passions at Kean University where she earned her BFA in studio arts. Currently, LaVeglio is furthering her same passions for the human form, portraiture and nature with her works in color pencil. Working in color pencil is both challenging and liberating to the artist. “Color Pencil demands patience and understanding of both the medium and subject matter along with a knowledge of color theory.” In using color pencil the artist is able to examine the details of her subjects, break them down and reassemble them into an image that translates the idea of the entire atmosphere of a drawing. 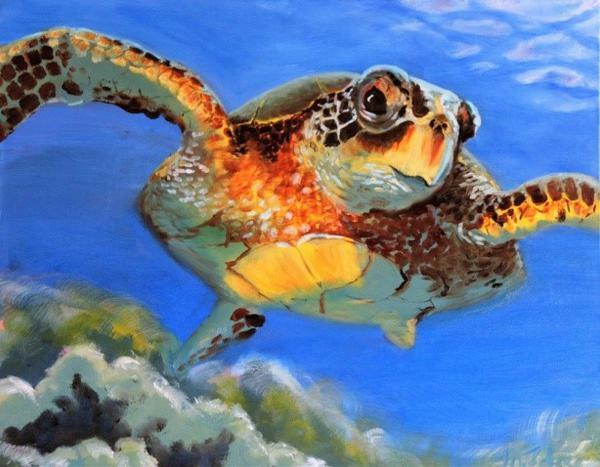 LaVeglio’s work can be seen locally on occasion at Pine Shores Art Association. It has been shown in various other venues within New Jersey and has also been featured in Colored Pencil Magazine. If you wish to contact her or see more of her work, you can visit her website JLaArtbug.deviantart.com or check out her Etsy shop jenniferTlaveglio where she has artwork and portrait commissions available. Renee Leopardi was born and raised in Cincinnati, Ohio and after 12 years of Catholic school, she decided to immediately join the work force. Within a year after high school, she decided it would be best to continue her education and worked her way through night school to achieve an Associate’s Degree in Liberal Arts from the University of Cincinnati. During those years, she met many wonderful people, one of which is her husband, who grew up in southern New Jersey. In 2002, she relocated to southern New Jersey to start a family and has never looked back. From early childhood, Renee has always been interested in art. However, art was never pushed or nurtured as a possible career path, so art became her hobby for years. In 2008, she took an Advanced Painting workshop at Studio Incamminati in Philadelphia. From then on, she knew her focus had to change. Since that first workshop, she has continued to further her art education through workshops and independent study including Life Drawing and plein air painting sessions with fellow local artists. Her newest works are primarily pastel paintings. Through her studies, she realized that painting with pastels has pushed her to explore and create more than she thought she could. Working with pastels can be quick and expressive in a way she wasn’t finding before. Working with pastels has also altered her overall painting style by giving it a turn toward impressionism. She finds inspiration in the local seasonal landscapes of southern New Jersey; from the ocean and marshes to creeks and woods to farmland. When the weather isn’t so friendly, she and her painting friends move indoors to work on still life or the figure. Recently, she has found new inspiration in teaching pastel and charcoal. community through her regular showings in department stores in the Ginza and Tokyo hotels. The sumi-e class consisted of a group of four Japanese women and three Australians. This dedicated group met weekly with Ohta Sensei for a full day of painting flowers, plants and landscapes working strictly within the ancient method. On returning to Ohio in 2000, Glenys continued painting; studying watercolor at the Dayton Art Institute and teaching sumi-e weekly at Otterbein in Lebanon, Ohio. When Glenys and Ken moved to Waretown in 2003, she joined Pine Shores Art Association where she enjoys taking classes and organizes Pine Shores museum trips. She looks forward to sharing the techniques of sumi-e with her friends at PSAA and both sumi-e (Japanese brush painting) and Ikebana (Japanese flower arranging) at Ocean County Libraries. 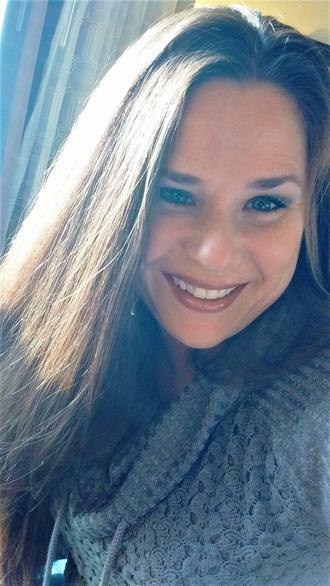 She has demonstrated at Waretown and Lakewood and has recurring dates to demonstrate at Lavallette, Tuckerton, Manchester, Toms River, Lacey and Stafford. Since she was a child, art has been a daily part of Nancy’s life. She has taken various classes at institutions including Rutgers, RVCC, Pratt, DuCret School of Art, the Contemporary Art Center and Pine Shores Art Association. More recently, she has been studying with Tom Lynch, Joe Fettingis, Tony Couch and Fabio Cempranelli, all nationally recognized watercolorists. She was an artist in residence at XACT Studios for three years, working side by side with award winning photographer Jim LaSala and Jim Roselli. In addition, she has had various mentors help her to refine her skills. Nancy has exhibited in local and state shows, as well as at Lincoln Center in NYC. 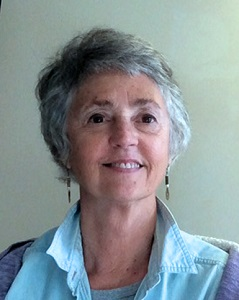 Her work has been seen around the globe as part of “The Ocean Show” through the Visual Arts League. A major accomplishment was the completion of two large oil paintings (4’x6’ ) for Mary, Mother of God Catholic Church, a 4000 family congregation. Through her business, Creative Art Spaces, Nancy prides herself in using art in a collaborative manner to educate about health issues, provide instruction to special populations and fundraising opportunities. Some of her projects included the Nationwide Hands of Hope Project, RAYS Art Project and NJ350Elements. 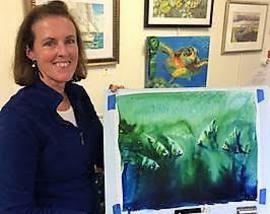 After moving to Barnegat, she joined Pine Shores Art Association and is our current President. CAROL FREAS has a BA in Art Education, 1965. She has been teaching the illusive, unpredictable quality of transparent watercolor for forty years, at times combining the work with the lineal effect of pen and ink or patterning and texture of collage. Growing up on LBI provided strong images of loss and change in our way of life which then sparked her need to illustrate the history and places in her art. Along with a love of color and fine detail in painting, she also enjoys the challenge of capturing old memories in words for local publications. 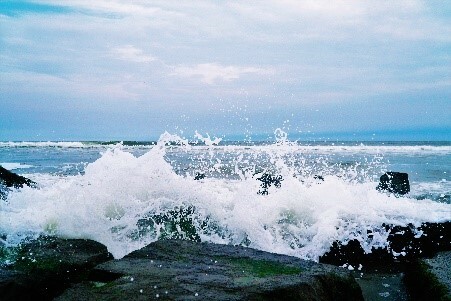 Taylor Troehler has been taking photographs since she was in Kindergarten. She is a working photographer and has been trained on a wide variety of cameras as a sales and service expert for Nikon and Canon. 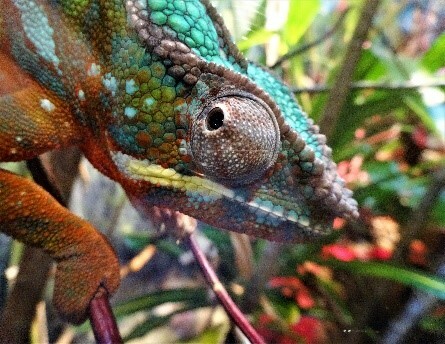 Photography, and sharing the how-tos of photography, is her passion. She wants folks to know you can get good pictures from any apparatus – from a pin hole box to a fancy SLR—and her mission is to make your camera less intimidating and give you tips you can use immediately to improve your own photography skills. She is a hardworking young woman and is currently working her way through Rowan College to become a teacher, while living on her own. Her enthusiasm for teaching others and sharing her passion for photography will soon have you snapping amazing photos of both your art and references for your painting. 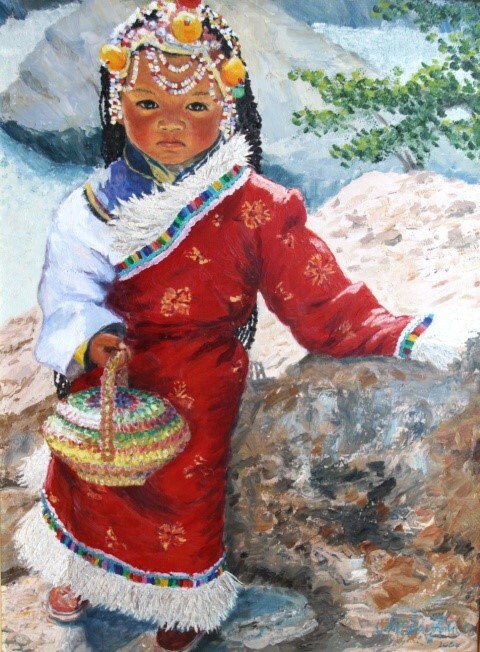 To see Kim's gallery of paintings, click here. Andrea Sauchelli is a full-time artist and lives and works in Manahawkin, New Jersey. She was born in Columbus, Ohio and has received a BFA at Rochester Institute of Technology in Rochester, New York. She has exhibited her art in New York, Philadelphia and throughout New Jersey. Andrea was chosen as a finalist for Professional Artist Online Magazine and has received an Honorable Mention for statewide exhibition at the Art Alliance in Redbank, New Jersey. Andrea is represented at Solace Studio Gallery on Long Beach Island, NJ. Her work is in many permanent collections throughout southern New Jersey. You can appreciate her style and art form at AtlantiCare hospital branches as well. Andrea has held a lecture at the Ocean County Library on Art and Momentum and we are thrilled to have her here teaching and mentoring our artists about abstract art at Pine Shores Art. You are encouraged to visit Andrea’s website where you get a true sense of the personal journey she has made and how she is able to express it in her inspiring artwork. Her “Statement” portion is a must-read, for she is also an amazing writer who can touch your heart with her words as well. Watercolor media artist Thomas Rutledge knows he has been fortunate to be able to continue painting all of his adult life. From a tragedy he suffered as a young man in Vietnam when he lost the use of his hands, he went on with his wife’s encouragement to a duel career as a successful commercial and fine artist. I was offered a scholarship to the Newark School of Fine and Industrial Arts. I was the first student to go there from East Side High and it was great! Tom is known for his precise paintings of local landscapes and haunting portraits of the down and out in his hometown of Newark. 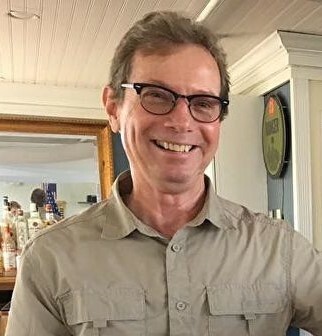 Currently he teaches Creative Arts at Rutgers University specializing in Drawing and Anatomy, as well as at Pine Shores Art Association where he also serves as Gallery Director, and was President from 2008-2010. 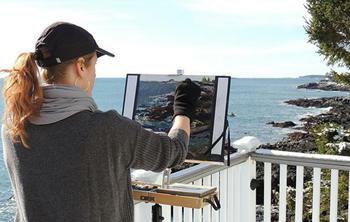 Tom is a master instructor in Watercolors, Gouache, Charcoal, Pencil, Pen & Ink Drawing. He loves sharing his knowledge with students at PSAA. His patience and encouragement as well as ability to lead fledgling students to the next level makes Tom’s classes among the first to fill when the calendar comes out. Tom has won awards too numerous to count, but when asked which ones stand out in his mind, he recalls his 1st place win in the Allied Artists of America show, and the Garnet Award in the Northeastern Watercolor Society. While Tom is always working on his next painting, and next show, today he takes pride in knowing many students of his are now winning prestigious awards around the tri-state area. Tom travels to many of these shows, and conducts demonstrations at many locations. If that’s not a full palette, Tom is currently also preparing not one but two books he hopes to publish in 2019. As a signature member of the American Watercolor Society and the Philadelphia Water Color Society, the work of Delaware County Artist Nancy Barch has traversed the United States. by Amazon.com books, has a feature article on Nancy's experimental work. Nancy has received commissions from the Liberty Properties Group, Scotties Tissues, the McDonalds LPGA Golf Classic, and the American Cancer Society. Her work is included in many corporate collections, such as Morgan Stanley, Liberty Properties, AIG, Bank America, FIS Corp, Montgomery, McCracken, Walker and Rhoades, Anapol Weiss and Lincoln Investments. 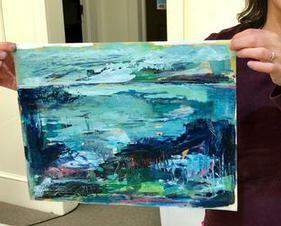 Mark Saenger's Art Classes and landscape Painting Workshops have become a hit with students. An independent artist and a charismatic teacher, Mark maintains a studio in New Jersey. He is a recipient of various awards, including the prestigious Copper Beech Foundation Award, from the Art Institute's 26th Annual Juried Art Show. A phone call from the HBO show, “The Sopranos” requested that his art be featured in the 2001 season. He has made appearances in numerous shows and is a member of various art associations. As a beginning artist himself, many years and grey hairs ago, Mark was initially motivated to paint by a college art professor who advised him to “stick with it.” The paint-along artist, Bob Ross seen on TV, fascinated Mark. He took a workshop with this popular personality only to find, to his disappointment, but more to his benefit, that nothing which looks so easy could be achieved without commitment and skill. From thereon, he began a rigorous study of the principles of art, having to spend long hours behind the easel and miles of canvas. He has studied with some of the most notable landscape artists of today. Since 2003 Mark continues to conduct Painting Workshops - a combination of in-the-studio & plein air painting. Classes for the most part are held in New Jersey, New York and Pennsylvania. Mark enjoys helping beginners and intermediate artists get on the road to success, like his mentors had done for him. Mark’s goal is not only paint the light and capture a certain light effect or condition, but to ensure that the viewer can feel the warm glow of the sunset, or the bitter cold of winter. Involved in fine art and fine craft for the past 25 years, Lyn Asselta's extensive background has included titles such as elementary school art teacher, draftsman, calligrapher, workshop instructor, and creator of award-winning fine-art gourd vessels. However, at one point, she opened an old box of Grumbacher pastels and never looked back. An ever-changing life prompted her to sit down and evaluate what really inspired her creativity and made her wonder what she would still like to say to the world. While pondering this question, she discovered that the majority of her memories revolved around places and how she had felt in those places. Images of fields of Queen Anne's Lace and old farmhouses on hills, waves crashing against rock and fog obscuring shorelines, the sun setting over golden marshes and silhouetting ancient oaks, mist on the distant hills in the morning...these were the images that lived in her memory and that carried a sense of timelessness and endless possibilities. Having had the good fortune to live in places that offered up amazing scenery, from the salt marshes and waterways of Florida, to the Smoky Mountains of the Carolinas, to the rock-bound coast of Maine, Lyn realized that her life's one common thread was her fascination with the landscape. She has always found herself drawn to places that have a rugged, solitary strength, places with untold stories, and places where she feels able to lose herself in the nature that surrounds her. Pastel, as a medium, seems to be a perfect metaphor for her relationship to these landscapes... vibrant, expressive, exuberant and tactile; pastel allows Lyn to hold a piece of color in her hand and to capture the essence of the wild, untouched beauty she finds in the world. Lyn is a Signature Member of the Pastel Society of America (PSA), an International Association of Pastel Societies (IAPS) Eminent Pastelist, a member of the Salmagundi Club, the Eastern League of Professional Artists and American Women Artists. She is the founder of the First Coast Pastel Society (FL) and is a Member of Excellence of the Southeastern Pastel Society. Her award winning paintings have appeared in shows and exhibitions throughout the United States, and in invitational exhibitions in France and China. In 2009, Lyn had the honor of being an Artist in Residence for the National Park Service at Acadia National Park in Maine. 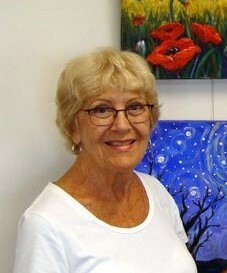 Her work was featured in the February 2016 issue of Pastel Journal magazine and her painting "Blue Morning, Crescent Beach" appeared on its cover. Lyn travels extensively to teach both studio and plein air pastel landscape workshops. Living and painting in the nation's oldest city, Saint Augustine, Florida, Lyn's work is represented by Cutter & Cutter Fine Art, St. Augustine and Ponte Vedra, FL. Mick McAndrews' award winning paintings strive to capture the mood and atmosphere of a subject, combining the magic of watercolor with reverence for the principles of design to create works of sophisticated simplicity. He is a signature member of the Philadelphia Watercolor Society (Crest Award), the Pennsylvania Watercolor Society (Sylvan Grouse Guild) and the Baltimore Watercolor Society. He is also an Artist Member of the Mid-Atlantic Plein Air Painters Association. 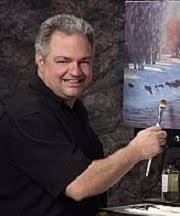 Please check the Galleries page of his website https://mickmcandrewsfineart.com/ or contact the artist directly regarding paintings and availability. Mick teaches watercolor workshops across the U.S. and is actively seeking workshop opportunities in the U.S. and abroad. I am a passionate painter who believes that time spent painting is precious. My goal is to draw and paint every day and I believe that the fastest way to artistic growth is through the activity of painting. I enjoy painting outside to take advantage of surroundings, natural light, and the sights and sounds that influence each painter's creative nature. Outside in nature’s studio is where I find the greatest challenge and the greatest reward. I am challenged to capture the moment because light and its effect, reflection and cast shadow changes continuously. I am forced to simplify, to reduce the overwhelming complexity of what’s in front of me into only the most important shapes and values. 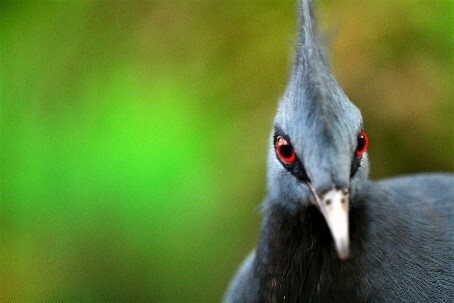 My nature is to be spontaneous so working loose and impressionistically appeals to me. The magic of watercolor is found in the partnership between artist and medium, of finding a balance between the knowledge, technique and skill of the painter while leaving room for the magic that makes watercolor so distinctive. Dianne Sutherland Ball first learned to paint intricate floral patterns onto china in the 1980's when she trained as a design technician with Royal Doulton, Staffordshire. took time out to study for a BSc Hons in Biology at the University of Aberdeen in 2003, where she studied floral morphology in relation to reproductive success. at shows, on four occasions being awarded medals, elected as a full member of the Society of Botanical Artists in 2012 and in 2016 co-opted on the SBA Council. She was invited to join the the Sydney Royal Botanic Garden Florilegium in 2013. Dianne's work is in the permanent Collection at the Hunt Institute of Botanical Documentation, Pittsburgh and the Sydney Florilegium. She exhibits nationally and internationally, most recently at the ASBA 19th International, at the New York Design Center, where her work, Fritillaria imperialis 'Rubra' received an honorable mention. In 2016 her Strongylogon macrobotrys, was exhibited at the Museum of Sydney and in 2018 it traveled back to the UK, where it was exhibited at the Shirley Sherwood Gallery, Kew. Dianne enjoys travelling to paint and teach and is currently working on a project documenting selected plants from Bank's Florilegium. 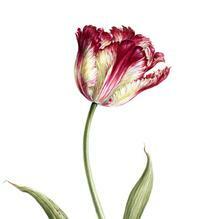 She continues to work as a commercial illustrator and tutor of Botanical Art.